When I said let the avocado obsession continue, I really meant it. I’m realizing that I will probably eat at least $20.00 worth of avocados this week. And I’m frighteningly comfortable with that. Besides discovering that warm avocados are delicious, especially when complemented with bacon in this Avocado Bacon Orzo, today I learned another important lesson: do not buy or eat canned salmon. It all started when I set out to make a springy-looking orzo recipe that included canned salmon. I do like salmon, and I rarely turn my nose up at any food, canned or otherwise, so I decided to give it a go. I knew I was in trouble the moment I opened the can and the smell pervaded the kitchen. But the real trouble came when I dumped the contents onto my cutting board. It was at this point that I realized: canned salmon is not like canned tuna. In addition to the salmon meat, the can contains the skin, bones, and other unmentionable/ unidentifiable salmon things that I did not care to touch. Or eat, for that matter. After the canned salmon found its final resting place in the garbage disposal, I went to the fridge for my trusty old friend, bacon. Fortunately, what could have been a fishy disaster turned out to be absolutely delicious and so easy! 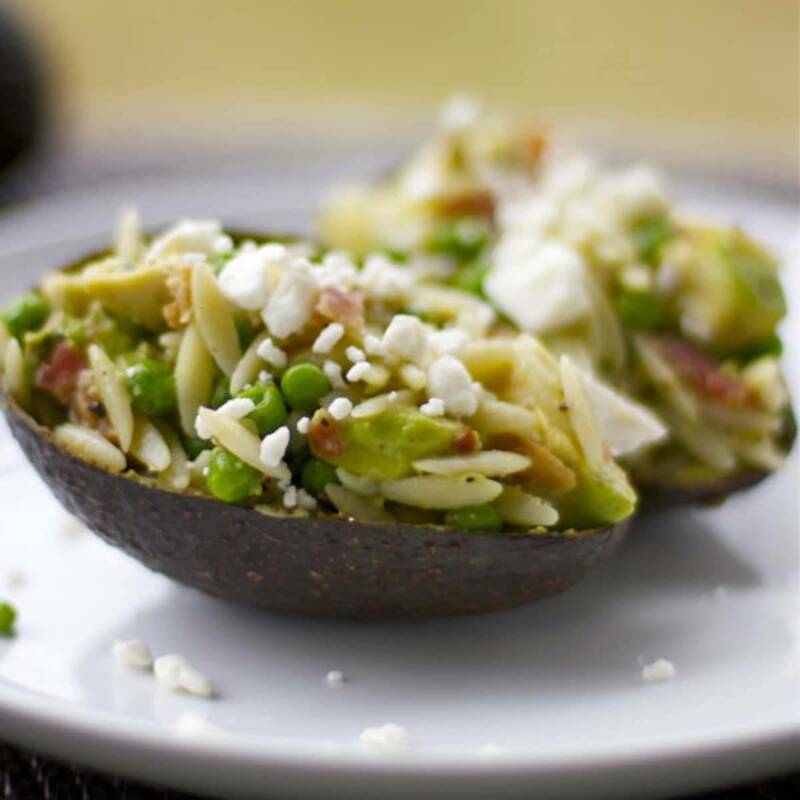 Avocado Bacon Orzo with feta cheese served in an avocado peel! 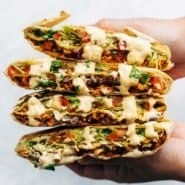 Perfect party food that’s easy to prepare and super fun to eat. Cook orzo according to directions on package. Add peas during the last few minutes of boiling time. Drain peas and pasta and return to pan. Slice avocados into cubes and use a spoon to scrape them out of the peel and into the orzo. Add garlic, crumbled bacon, salt, and pepper. Stir gently until mixed. Sprinkle each serving with feta cheese. Serve warm, room temperature, or cold in an avocado peel, if you want to be festive! I promise tomorrow’s post will not include avocado. Maybe. This is absolutely delicious — I couldn’t stop eating it! What a perfect combination of flavours. I used a soft, pre-crumbled feta (President brand) and I think it was a lot better than it would have been with a firmer one. Personally, I love canned salmon, the skin and especially the bone! 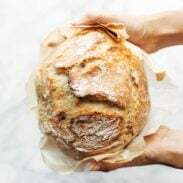 I grew up on it, so it’s a bit of a comfort food for me. Those “un-mentionable bits” are very nutritious. It wasn’t until I was an adult and had good Pacific salmon that I learned to love the fresh caught as well. I found your recipe looking to use an avocado and low-carb orzo, and look forward to having this as a side tonight. Thanks!